Scanning any beauty brand’s lipstick display of infinite shades reveals a common truth: Makeup tastes are unique to each individual. Are you more Fire Engine Red or Strawberry Vine? Feel like donning a sparkly Copa Cabana or subdued French Kiss? Your answer may differ depending on your mood, the occasion, or the outfit you’re planning to wear. Ensuring that you find exactly what you’re looking for, at the moment when you need it, is what marketing personalization is all about. Among the world’s most successful beauty brands, L’Oréal — whose subsidiaries include cult favorites like Lancôme, Urban Decay, Essie, NYX, Redken, Kiehl’s, Biotherm, Garnier, and more — continues to evolve its beauty marketing strategy. The global cosmetics company is a leader in beauty (to the tune of over 25 billion euros in sales in 2016), constantly innovating on the personalized ways they can connect with their shoppers at anytime, anywhere. And just what are they using to fuel this beauty marketing strategy? Data. If you’re a beauty brand, here are the top tips on how you could be using data to customize your campaigns, too. 1. Unify your online and offline marketing through data. Personalization means not treating shoppers differently each time they switch channels. L’Oréal’s chief marketing officer for Western Europe, Stéphane Bérubé, recently spoke about how the beauty brand’s potential to drive sales in the UK hinges on uniting offline and online marketing tactics. “I don’t believe we have an online and offline consumer. Marketing needs to move from having [separate] digital priorities. We need to stop talking about what is the digital strategy. I am making a big point of this [to change] in the culture at L’Oréal,” he told Marketing Week. Despite Brexit and an economic and political climate riled by uncertainty, he’s confident that L’Oréal in the UK — currently the company’s fourth largest market after the US, China, and France — is poised to grow. About 20% of L’Oréal’s sales happen through ecommerce channels right now, but Bérubé aims for digital to account for a much higher percentage. In order to achieve this, he believes the brand must stop talking about ecommerce as a separate channel. Criteo’s recent Shopper Story report revealed that many shoppers regularly toggle between online and offline purchasing (think Click and Collect, Webrooming, and Showrooming), and they like both. When shoppers browse for products, watch videos, or otherwise bounce around online, they leave a trail of digital data. These patterns and behaviors can reveal valuable insights which can be used to predict their needs and inform your marketing strategies. But many brands aren’t using data correctly or know which kind of data is most relevant. Case in point: when you keep getting retargeted with ads for black sneakers despite the fact that you bought a pair last week. Leveraging the right kind of data (and a lot of it), can yield measurable gains, in the form of more sales and profits. L’Oréal’s Bérubé thinks brands still have some work to do to convince shoppers that sharing their data isn’t a bad thing. Among the benefits, it leads to more personalized ads, while also increasing revenue. “We are in the era where consumers don’t know the benefits of data and have a negative view of it. Our priority is to bring personalisation to consumers and be super relevant. From an industry standpoint, we have not done a very good job [of explaining] why data can bring relevancy and more meaningful content,” he told Marketing Week. 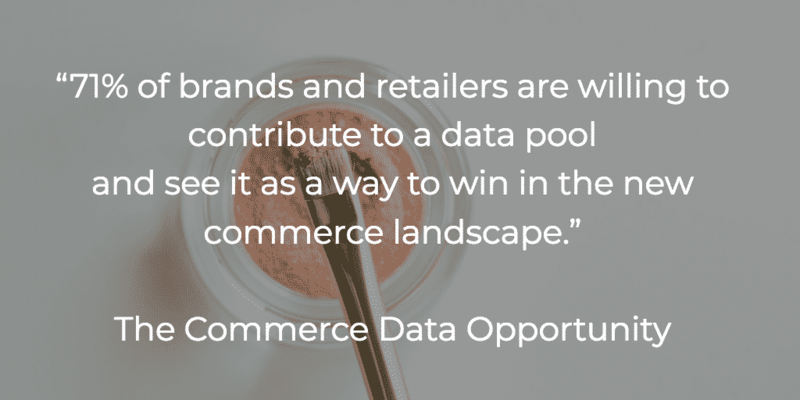 In a recent report called “The Commerce Data Opportunity: How Collaboration Levels the Retail Playing Field“, Criteo worked with Forbes Insights to find out what 500+ executives think about data. Across retailers and manufacturers, most believe data will be key to increasing sales and profits. Many brands and retailers already realize the potential of data to help maintain a competitive edge, meet customer needs, and drive value for the business. The joint study showed how nearly four out of five currently include customer data as part of their business strategy. 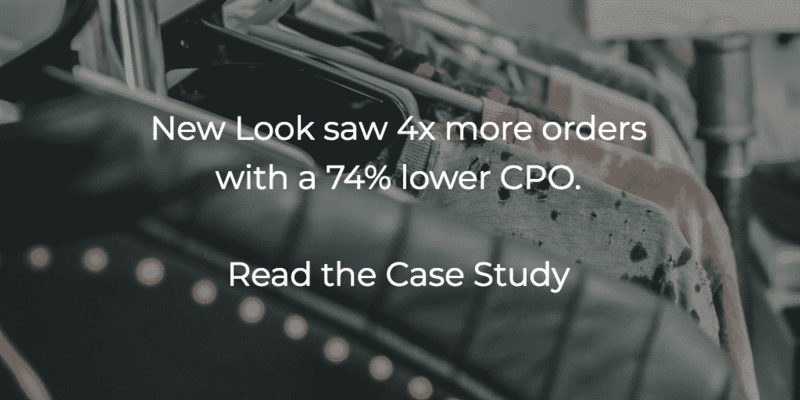 By tapping into Criteo’s massive pool of shopper data, UK fashion retailers New Look saw 4x more orders at a 74% lower Cost Per Order. Personalized product recommendations, informed by data on shopping behavior and interests, helped the apparel brand reach a new customer rate of 62%. Read the full case study, here. 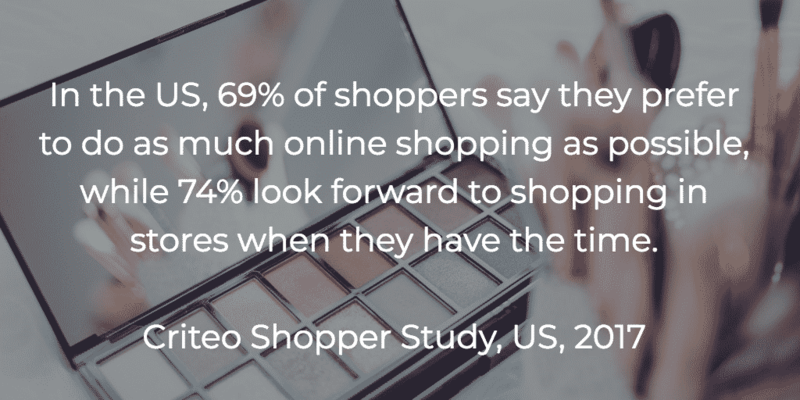 The purchase journey for most Maybelline customers starts online, so the beauty brand pays close attention to what their shoppers search for and watch. To launch its Maybelline Master Contour makeup line, the company partnered with Google to learn more about which types of shoppers were familiar with contouring. Based on the data, they were able to better identify, predict, and meet each shopper’s needs. Using the findings, the segmented their audiences into three groups, and chose to focus on the women who believed contouring was too difficult or time-consuming for them. Maybelline made a series of short how-to YouTube videos that broke down the process of contouring in three simple steps. The videos were customized to intent and demographics, ensuring that viewers were (a) getting answers to their primary questions and (b) getting the best advice for their skin type and color. Using this data-driven approach, Maybelline was able to meaningfully connect with over 9 million people — individuals who were able to find the specific contouring tips they were looking for. With a lower barrier to purchase, it was a win-win for both brand and consumer. So while makeup preferences and skill levels vary by individual, by creating personalized videos, Maybelline found a way to resonate with each shopper’s unique needs. 3. Make the most of new technologies by putting data into action. Shoppers are inundated by the myriad ways brands try to reach them, so Bérubé wants to ensure that L’Oréal offers more relevant experiences on every platform. With that in mind, the company is taking a thoughtful approach to new technology, like voice search. “Research says 22% of consumers already search by voice, and by the end of 2018 this will be 40%. We need to optimise our content to rank very quickly on voice search, and this is something we’ve started looking at. We don’t have the answer yet, but it’s a space where we want to be super relevant,” he told Marketing Week. Even though consumers might not have an Amazon Alexa device at home, many use services such as Siri on their smartphones. And because of mobile and machine learning technology, shoppers now have a personal stylist, hairdresser, and makeup artist right at their fingertips. To create a more personalized digital experience, Maybelline rolled out Makeup Genius, a mobile app that allows shoppers to apply makeup virtually. The popular app was downloaded over 14 million times. It works by scanning a person’s face, analyzing over 60 characteristics, then displays how different products and shades can be used to achieve various looks. Shoppers can browse through a library of looks from expert makeup artists or just enjoy trying on different products and shades. After users ‘apply’ their makeup, the app can follow their movements so they can see what they’d look like from any angle. Once shoppers pick a look they love, they can save it, share on social media, and order those products with the touch of a button. The takeaway? 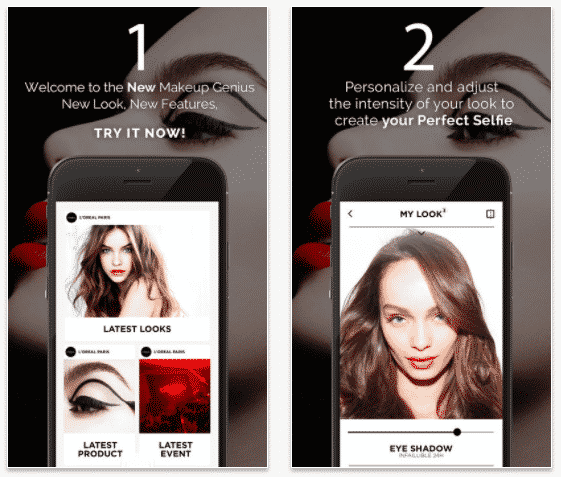 The Makeup Genius app wasn’t built to mirror Maybelline’s ecommerce experience. As both a branded outlet and as an intake channel for gathering data about how shoppers engage, it’s a unique asset that allows the beauty brand to understand customer needs and personalize experiences just for them. As the digital noise gets louder by the day, brands will need to differentiate their messaging by personalizing experiences for their shoppers. The beauty industry especially needs to build customer experiences speak to each shopper’s unique needs and interests. As Maybelline’s how-to videos demonstrated, someone with one question (say, how to volumize fine hair) won’t have the same concerns as someone with another (like, how to de-frizz curly locks). But it’s impossible for flesh-and-blood marketers to manually personalize ads at scale. Machine learning, as we saw with The Makeup Genius app, can help ensure experiences are customized or every shopper, at a volume and speed no human can beat. Brands that stand to win will leverage large amounts of shopper data to power personalized experiences, from dynamic ads to custom content.